If nearly 30% of the email addresses you’ve acquired in your database have bounced over the last year, you’re not alone. In fact, it’s normal. Business Credit Information Inc. can help you recover from the constant churn of alums who no longer receive your emails by matching them up to an opt-in email address database of over 120 million individuals that use multiple email addresses. Updated emails give you that second chance to rebuild active, online relationships from constituents that want to hear from you. You’ve worked hard to capture preferred email addresses directly from your constituents, but they just aren’t responding the way they used to. It could be a deliverability issue, bounce, or simply become inactive. Either way, Email Address Update is a great way to re-connect with email that gets noticed and acted upon in a timely manner. The natural attrition of emails that become dormant over time can take a big toll on participation rates and fundraising. It’s a crucial component of your multi-channel strategy and an investment that depends upon timely, consistent messaging to inspire, solidify, and encourage participation in University campaigns, events and activities. However, surveys show that 53% of email users who changed an email address also lost online relationships, and 45% of them specifically lost contact with email newsletters or preferred websites. Regardless of the reasons behind email churn – whether an ISP switch, residential move, job change, or effort to avoid SPAM — staying on top is a daily challenge. Email Address Update service gives you the capability to keep your messages flowing when a change occurs — from emails you’ve relied upon in the past to new ones that produce a brighter future. Email Address Update process begins by preparing a file containing individuals’ full name, current street address, city, state and zip — along with email addresses considered to be inactive, invalid, or bounce. 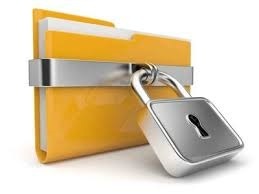 Next, post your file to BCI’s secure FTP site under password protection. An email confirmation is sent to you shortly thereafter to verify that the data is complete and ready for processing. BCI maintains your data in a secure environment every step of the way, assuring you that it will be used exclusively for the purpose intended — to update your file with new opt-in email addresses, 100% deliverability guaranteed, or your money back. New emails that match your records are screened to eliminate any email address that’s potentially harmful (SPAM, malicious emails, etc.). The emails that make it through are then tested for deliverability with our Permission Letter process, separating opt-outs along the way. Fortunately, very few opt-out, so the net result is a restored list of fresh, updated email addresses for immediate use in your next email broadcast. And to think you’ve lost them forever.